Untitled (carp) depicts a multi-media sculptural installation. On one wall there is a slow motion video of a baby crying through fog. 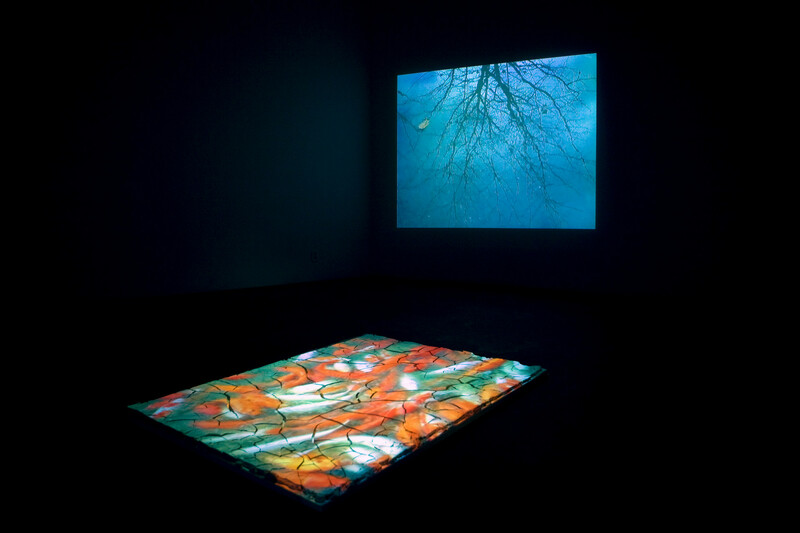 On the floor there is a video of jostling carp projected on a bed of dry, cracked clay. On the wall opposite from the baby video there is a video of a bare tree reflected in a shallow pool of water on the ground. The background audio is a repeated drop of water. Untitled (carp) is my attempt to visually obtain perspective on the competitiveness of life. 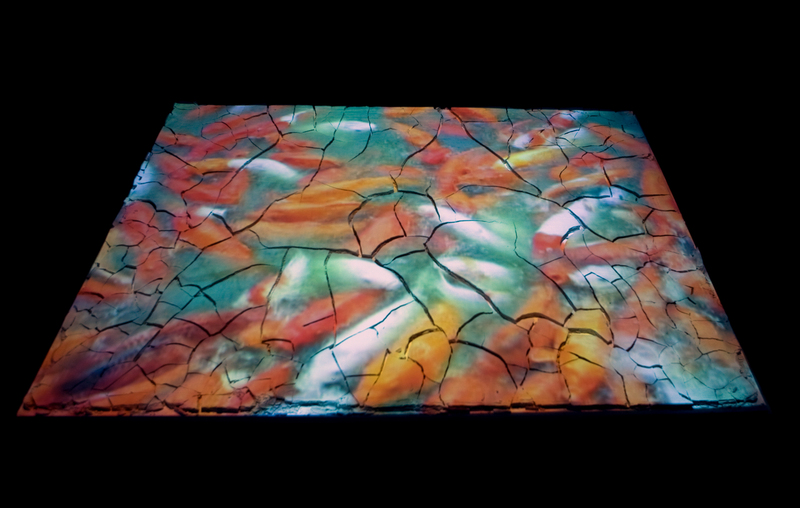 The piece itself consists of a video of many hungry carp, writhing for food, which is projected on a slate of dry, cracked clay. Each carp is individually beautiful and distinct, but as a group become visually hypnotic, especially on the seductive clay surface. The piece becomes a metaphor for people competing for limited and ever shrinking resources. In order to get perspective on my place in this competitive world I think about my birth and the inevitability of my death. 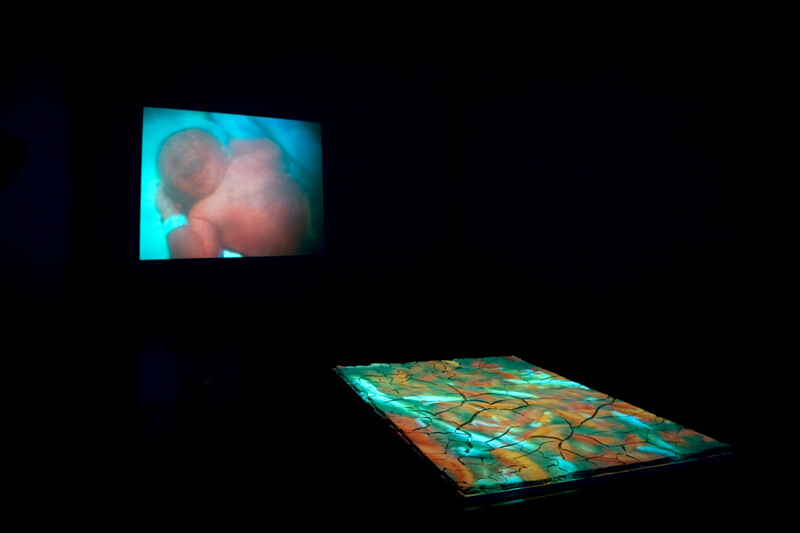 The baby of course represents the way our entrance into the world becomes a distant memory and the bare tree reflected in the shallow pool of water poetically represents the memory of ourselves we leave behind.